The Lake District is such a magnet for hopeless romantics...this is the perfect retreat for you and your loved one to enjoy. 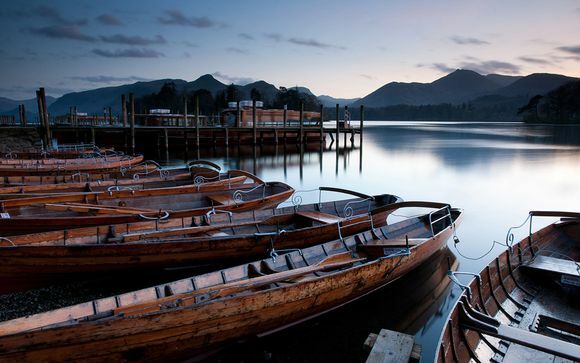 Winter is the perfect time to visit the Lake District as the atmosphere is truly enchanting . Wrap up warm and head out for a winter walk in the beautiful Cumbria! The Lake District National Park is famous for its stunning scenery, abundant wildlife and cultural heritage. With Cool, clear lakes, tarns, rivers, ancient woodlands and a wealth of wildlife, the Lake District is truly a place to escape to nature and stand in awe of its brilliant surroundings. Cragwood was originally designed by Frank Dunkerley and built in 1910 for the industrialist Albert Warburton. The house is built from stone quarried in its own grounds and these quarries, which are now a feature of the water gardens, also provided the stone for the famous round house on Belle Isle and many of the houses on the opposite shore of the lake. 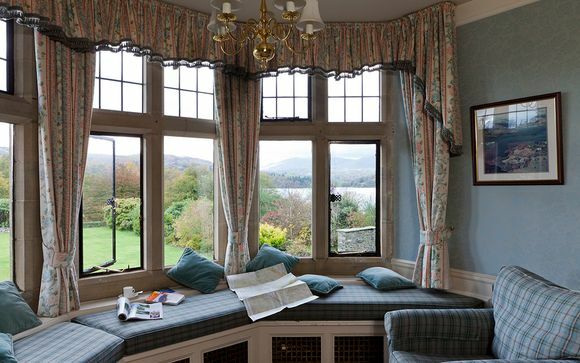 Many of the Cragwood's original features have been retained and lovingly restored including beautiful wood panelling and magnificent fireplaces.The Edwardian Gardens, landscaped at the turn of the century by Thomas Mawson, lead down to the shore of Lake Windermere where this hotel has half a mile of lake frontage. Scattered across the shore, both above and below the water-line, are the curious "Inscribed Rocks of Windermere" and on which the recluse John Longmire carved the names of his heroes and enthusiasms in stone. 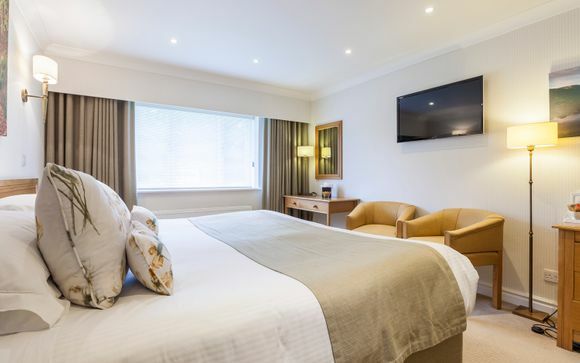 From the comfy beds and crisp linen to the deep baths, aromatic toiletries and fluffy towels…the bedrooms have been designed with no-one else but you in mind. So, after a gentle lakeside stroll, a more ambitious bike ride or a day exploring what the Lake District has to offer, you can head back to the sanctuary of your room and have a soothing hot bath. Some of the rooms have enviable lake views so what better place to watch the evening sun set over the spectacular Lake District landscape. When you wake you’ll probably find it hard to tear yourself away from your bed to come down for breakfast…but it’s definitely worth the effort! Though, they don’t mind bringing breakfast up to you if you feel like being pampered. They believe in celebrating the region they live in and embracing all that is special and unique about the area. Food heroes like the local farmer, fisherman and butcher are the key to their homegrown and local philosophy. At Cragwood, you can enjoy the very best local produce the Lake District has to offer from tender Herdwick lamb and spicy Cumberland sausage to freshly caught trout and Morecambe Bay potted shrimps, local asparagus, Cumbrian cheeses and homemade chutneys. Dining at Cragwood is an experience not to be missed. Under the creative and experienced direction of head chef, Calvin Harrison, and made with only the finest local and seasonal ingredients, you’ll discover a menu of imaginative and freshly prepared food. From simple classics to more contemporary combinations…you’ll be spoilt for choice. Cragwood has two beautiful dining rooms which both provide a stylish, elegant and informal setting for lunch, dinner, to meet, celebrate or simply to pass the time. Come and enjoy tasty breakfasts, delicious lunches, afternoon teas and mouth-watering dinners. The seasonal menus change daily and they are happy to cater for any special dietary requirements. This offer in accommodation only.